...Foles is best known for his ridiculous 2012 NFL season, in which he threw 27 touchdown passes to just two interceptions, filling in for Michael Vick and playing in Chip Kelly's offense. Foles was a 3rd round pick by Philadelphia in the 2012 NFL Draft. He would later be traded to the St. Louis Rams, for Sam Bradford. The Eagles then traded Bradford to the Vikings, for a 1st round pick, after Teddy Bridgewater's injury. So Philly traded Nick Foles for the 14th pick in the 2017 draft, Derek Barnett, signed him to a one year deal worth $11 mil this offseason and now he is starting for them in Super Bowl LII. It was just two years ago when the Eagles traded LeSean McCoy to the Bills for Kiko Alonso. Alonso was flilpped to the Dolphins along with Byron Maxwell and first round picks were swapped that later turned into CARSON WENTZ! When week 1 kicked off, the Eagles featured LeGarrette Blount, Darren Sproles and Wendell Smallwood on the RB depth chart. Sproles was lost to season ending injury and Smallwood would become a regular healthy scratch. That would lead to the late October trade for Jay Ajayi and the emergence of undrafted free agent signing, Corey Clement. The Eagles sent a 4th round draft pick to the Dolphins in exchange for Ajayi. It took four weeks for Ajayi to become the lead back, but he has averaged 61.2 rushing yards since seeing double-digit carries in each of the last five games, including the playoffs. Back in March, the Eagles added "injury prone" veteran Alshon Jeffery on a one year $14 mil deal. This December, they agreed to a four year $52 mil extension that will keep Jeffery in Philly until 2021. While catching a career high 9 touchdowns this year, Jeffery's 789 receiving yards was his lowest total since his rookie season. He now has three straight seasons with less than 822 receiving yards. Philadelphia also added veteran Torrey Smith last March, on a 3 year $15 mil deal. Smith only caught 36 of his 69 targets for just 430 yards and two touchdowns. His 11.9 yards per reception were a career low. Then in the preseason, the Eagles decided to trade Jordan Matthews and a 3rd round draft pick to the Buffalo Bills for CB Ronald Darby. This opened up playing time for Nelson Agholor. Playing in his third NFL season, Agholor set career highs with 62 catches, 95 targets, 768 yards and 8 touchdowns. Drafted out of Stanford back in the 2013 NFL Draft (Rd 2), Zach Ertz posted his third straight 100 target, 800 yard season, catching a career high 8 touchdowns. Along with veteran Brent Celek ('07, Rd 5), the Eagles have depth at the TE position thanks to signing undrafted FA Trey Burton in 2014. Burton caught 23 of 30 targets and five touchdowns. The Eagles traded back from pick 85 (Rd 3) and acquired the Ravens 3rd and 6th round picks. Baltimore drafted Jah Reid while the Eagles picked Curtis Marsh and Kelce (191st overall). Wisniewski was also drafted in the 2011 draft, but by the Oakland Raiders in the third round. The Eagles signed him in 2016, before agreeing to a three deal in the offseason. The 4th overall pick in the 2013 NFL Draft. The Chiefs drafted Eric Fisher 1st overall that year, followed by the Jaguars selection of Luke Joeckel. After the Dolphins randomly picked Dion Jordan, the Eagles landed Johnson. Traded to the Eagles in 2009 by the Bills in exchange for the 28th (Eric Wood) & 121st (Shawn Nelson) picks in the 2009 draft. Peterson suffered a season ending knee injury in late October. Eagles 5th round pick during the 2016 NFL Draft, acquired via Brandon Boykin trade. By the 49ers to the Broncos in a deal that involved Aaron Hernandez draft slot and the Niners selected Anthony Davis. Fletcher Cox was pick #12 in 2012, one slot behind Dontari Poe (Chiefs) and two spots before Michael Brockers (Rams). Philadelphia moved up three spots to draft him, losing what would become Bruce Irvin, Jaye Howard and Jeremy Lane, to the Seahawks. Before the 2016 season, he re-signed for $100 mil over six years. Vinny Curry was selected in the 2nd round of the 2012 draft and signed a 5 year $47 mil deal in the 2016 offseason. The Eagles traded for Timmy Jernigan this offseason, swapping third round picks with the Ravens. The 14th overall pick in the 2017 Draft, Derek Barnett recorded five sacks in his rookie season. The Eagles drafted Mychal Kendricks 46th overall in the 2012 NFL Draft. Back before the 2015 season, Kendricks and the Eagles agreed on a four year $29 mil deal. 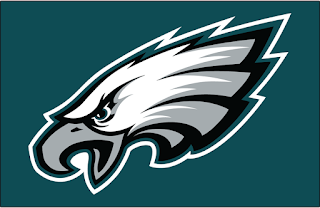 Nigel Bradham signed as a free agent this offseason and filled in for the injured Jordan Hicks, who suffered a season ending achilles injury in October. Hicks was a third round pick of the Eagles during the 2015 NFL Draft. Patrick Robinson was signed for $1 mil this offseason. He is Pro Football Focus' #4 CB. Acquired in the Jordan Matthews deal, Ronald Darby finished as CB22 according to PFF. Jalen Mills was a 7th round pick in the 2016 NFL Draft. Safety Malcolm Jenkins signed a five year $40 mil deal with the Eagles before the 2016 NFL season. That same offseason, Rodney McLeod signed a five year $37 mil deal.